Dandelion (Taraxacum officinale) is good for you, and even if you hate it in the yard, its bitter taste can be addictive. Remember, when you drank your first beer or glass of wine, you probably thought that was bitter too. Dig up the dandelion roots. This can be challenging because they have a stubborn taproot. When they're out of the ground, rinse them outside with the hose until the water runs clear. This will probably require some rubbing, particularly if you have clay soil. The most productive way to do this is to make a large batch and then use it throughout the season. Dandelion root is surprisingly tasty. To spice up the tea, add *cinnamon bark and a little grated nutmeg. If you like the idea of a little ginger in your tea but can't keep it fresh in the fridge for long, try this: Cut fresh ginger root into inch thick pieces and place in a glass jar. Add enough sherry to cover them completely. Seal. The ginger will keep indefinitely this way and be available to use any time you want. An easy way to get small pieces of bark is to break up a cinnamon stick and partially grind it in a coffee grinder. A tea made with the dandelion root is a diuretic and can help lower blood pressure and reduce premenstrual symptoms. Dandelion root contains two substances, inulin and levulin, that can help reduce blood sugar, and another, choline, that acts as a liver stimulant. Dandelion is a good source of vitamins: C, K, B2, and A. The white milk in dandelion can help get rid of warts. Just apply the milk directly to the wart and it will start to shrink. Keep applying dandelion juice until the wart dissolves. This will take several daily applications over the course of a few weeks, depending on how large the wart is. 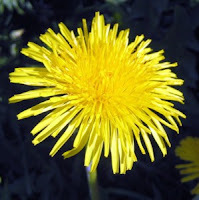 Would love to try dandelion tea, however in aussie we have many weeds we call dandelion, could you please give me its botanical name so that I can order it in from the garden centre? Thanks for writing in. Not including the scientific name for common dandelion was very silly of me. I guess I thought most folks would be picking dandelion as a result of their energetic weeding efforts. I've revised this post, and the name is: Taraxacum officinale. Very informative! Thank you, I`m looking forward to trying the tea out!! Thank you. I am off to my garden now to pick some Dandelions. Thank you. Hello, I was not able.to locate the fresh flower or root. Does the boxed tea work the same? Thank you~ I'm making some tea right now....I had just pulled a bunch of them about an hour ago so I hurried out to my pile for 8 flowers. I would leave all of the dandelions because I love them but my boyfriend does not so it's part of the compromise...:/ Could I mail aguilar4 an envelope full of the seeds? !